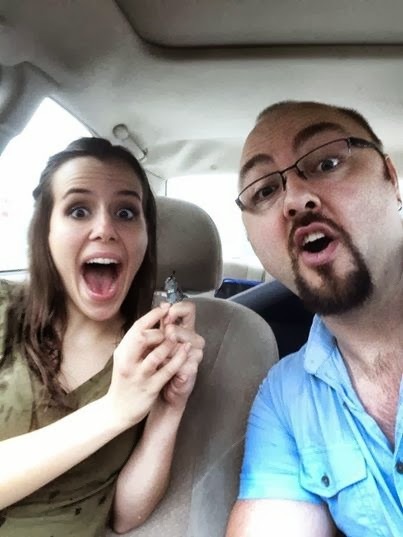 One of the most viewed posts on this blog the last several months was our original interview with Chris Williamson, writer and director of Treasure, a feature length micro budget film he is making to fulfill the requirements of his MFA in Film from the University of Central Florida. We interviewed him in mid March, while his Indiegogo crowd funding campaign was in full swing. That campaign has long since ended, but we here at the blog signed up for the Treasure Mailing list, and had received a few updates on progress on the project via email. The latest update was sent on Father’s Day, June 15th, 2014, so we figured we’d contact Chris for a follow up interview, to see how things are coming along. Treasure is a feature-length micro budget film, in which Geocaching plays an integral role, which currently has an Indiegogo crowd funding campaign. It is a story about Erica, who lives with her widowed father, and has lost her way in life. She gets in trouble for drinking and driving, and is sentenced to community service in a soup kitchen in lieu of jail time. There she meets a volunteer named Ryan, who introduces her to Geocaching. 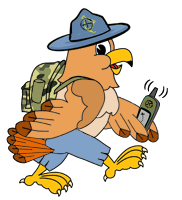 As it says on the Indiegogo page, “she finds more than caches out there in those little boxes!” Geocaching and her new friend Ryan help her to find herself, and get her life back on track. The Indiegogo campaign for this film has already started! It runs from March 3rd, 2014 until April 1st, 2014 at 11:59 PM Pacific Time, and has a goal of $25,000. We contacted the writer and producer of the film, Chris Williamson, an MFA Student at the University of Central Florida in Orlando, who needs to write and direct a feature length film to graduate with his Masters Degree. He was more than happy to agree to be interviewed about the film and it’s crowd funding campaign. OCNA Blog: How did you come up with the idea of using Geocaching as a metaphor for a young person finding themselves, and apply it to a feature length film? Chris: I’m a geocacher. I don’t get to do it as much as I would like but every now and then I just have to get away from the computer and go outside and connect back with nature. I tend to learn something when I’m out caching because caches often have info on why the cache is there. I’ve discovered some really cool places and things that I wouldn’t have known about if it weren’t for caching. Recently I had a DNF at a really big awesome tree with branches that swooped down under the ground and came back up. It was amazing. It was DNF yes but I can tell you that I found something better than a cache there! OCNA Blog: How do you go about getting actors for a “student film”? There’s a lot of “college aged” characters in the film, but certainly not all of the characters. Chris: It’s a student film yes, but unlike most student films this film is being made by students with a lot of experience working on films. It’s my first narrative feature but I’ve done two feature docs already and many other video projects. So it’ll look as professional as any indie film you’ve seen. A lot of actors pay their bills by working on commercials and corporate videos so they love it when a feature film with great characters and dramatic possibilities comes around. It gives them the chance to truly express their talents in ways they don’t usually get the chance. So yeah, we had a great response at our auditions and found some amazing actors to cast in the film. It’s so exciting to see characters you’ve been with for a year and a half come to life in front of you! The actors I’ve chosen are talented, excited, they love learning about geocaching! I took Ayla Parsons, who is slated to play Erica on her first geocache hunt. You should’ve seen the look on her face. Priceless! OCNA Blog: That doesn’t apply to the GeoCat, I assume? Chris: I want this film to be as fun and immersive for geocachers as I can because I love the world of geocaching. 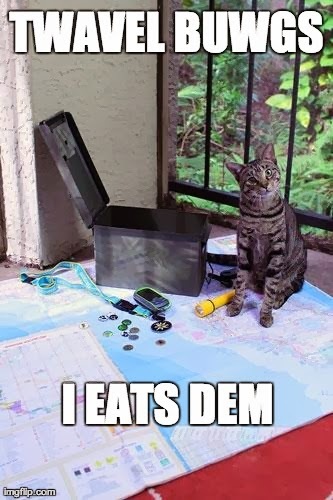 I searched for geocaching memes on the Internet and found that there wasn’t even one geocaching-specific meme. I was disappointed by that and wanted to give the world one so we took a photo of Jazzy and I uploaded it to the imgflip meme generator. I think it’s the cutest meme ever but I’m probably a little biased. If your readers google “geocat meme” they can make one themselves! And since there was a cat in the script of course I was like Jazzy’s going to play Kozmo the cat in the movie! OCNA Blog: You plan on filming in May and June 2014? When is this project “due” so to speak? Chris: In order for me to graduate on time next year I have to screen a ‘fine cut’ of the film by next spring. My hope is that the film will be complete by then. Post-production has stages. Basically you start with a rough cut of the film and examine it for flow. If a scene is unneeded or is a drag on the story then this is where you cut it out. Then you work on the fine edit where you carefully time every cut to be perfect for the story. Once you’re finished with that you lock the picture and work on sound design, which is every bit as important as the picture. Then you score the film and color-grade the footage. It’s quite the process and one that our funders will be privy to through updates. OCNA Blog: How will Geocachers be able to view the completed film? Chris: Funders who contribute at $25 and above will receive a special one-week online screening of the film. We have to do it this way so that it is considered a ‘private viewing’ and not the actual ‘release’ of the film. Once complete we will send to film festivals and let local geocachers know that’s playing so they can see it on the big screen. Our audience is online and are most likely to watch it online so we’re going to work hard at getting it on Netflix, Amazon, iTunes, etc. and it will probably also be available to rent directly from our website. All of this should occur within two years from now. Regular updates on the progress can always be found on the Treasure Facebook page at facebook.com/treasurethemovie or on Twitter at twitter.com/treasurefilm. Another important thing is that buzz drives the success of independent films. People need to talk about it, tell others about it, write reviews, give their opinions, and share it in order for any independent film to be successful. Distributors look at how ‘hot’ a film property is before they pick it up. If we go to a distributor and say look there’s hundreds of thousands of geocachers that are chomping at the bit to watch this film then they’ll pick it up and put it out there. Basically it will be easier to find and watch when it’s released. Then more films like this will be made as well. Simply put, if geocachers are a film market then filmmakers will make more films for you. Producers like me will look at our success and think, you know what, they want it so let’s give it to them! Oh and one of the most important things we can do is get as many people to sign up on our email list as possible so we can let them know when and where they can watch the film when it’s released: sign up form on Google Docs. OCNA Blog: We see it’s a “flexible funding” Crowd Funding campaign, where you will receive all funds if the fund raising goal is not met. If that goal is indeed not met, we will have to assume this project will be completed, just with a lower budget? Chris: Flexible Funding is good for projects where there is a range needed to complete the project. For instance, we have a rock-bottom need for $13,000 to go into production. We absolutely need that amount to pay for food for cast and crew, pay the cast, and buy what we need for locations, production design, props, and wardrobe. If we don’t raise at least that then my school won’t green light the project and we may even have to push back our shooting dates. That’s why it’s super important that everyone gets into the spirit of crowd funding and donates even just a little to the project. $2, $5, $10 even is a huge help because we just need a lot of people to donate a little to make it happen. If someone is still unsure of whether they should cast their vote with their wallet for this film let me tell you that this will be a very fun project to back. We’re going to make sure of that! OCNA Blog: All crowd funding campaign’s have perks for different levels of contributor’s funding. Personally, If I ever dreamed up any project, I’d have a hard time coming up with the funding levels and their associated perks. Or is it not as hard as it sounds? Chris: I know that just because the film has geocaching in it that geocachers will be interested in seeing it, and I am not going to let them down. I like to say that I live authentically and of course I want my film to be authentic as well. The film isn’t about geocaching, but geocaching is woven into the story like a beautiful quilt. It’s a part of the character’s development and story arc. I don’t think there’s been a movie yet that captures the spirit of geocaching like this one. I refused to compromise on that and wrote it specifically to be in line with geocaching values. And that’s why we’re offering geocaching swag as rewards. Our goal is to create and rich and meaningful experience for fans of the film and having movie-related collectible swag is a great way to do that. 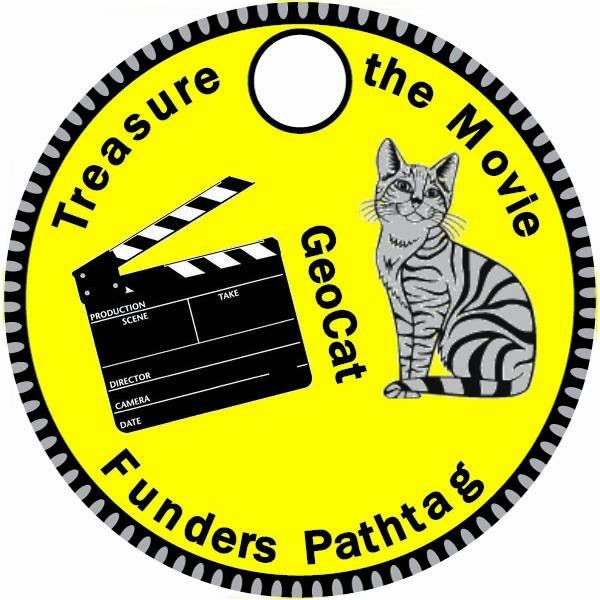 We could’ve waited until the movie is released to make movie-related geocoins and pathtags and travel fleas but we wanted to make some super-special funder-only items for those that support the film from the start. I want people to prize these items, to be able to tell people, yeah, I made this movie happen! OCNA Blog: There are several crowd funding websites out there, why Indiegogo? Chris: Kickstarter recently had a security breach and they also don’t allow flexible funding. Indiegogo is a great platform and comes with a lot of tools to make the best experience for our funders. Also, with Kickstarter you either get all the money or none, and this isn’t an all-or-none type of project. Treasure has a rock-bottom need for about $13,000 in order to go into production, but we have a wish list of things that more money will help us out with. For instance, I’d like to use a steadicam in the production. Life is so much easier on set and for the camera operator if we have one with a harness. But that costs more. We can use a cheaper one but they’re heavy and the camera operator gets fatigued faster. Also, extra money means that we can afford music down the road without holding another campaign for finishing funds. But it’s way more than about money. I’ll beg, borrow, or steal to earn my degree. Ok maybe not steal ha ha. It’s really about we’re asking the geocaching community for their blessing in making this film. We’re doing it for them and we want to feel the love and support. OCNA Blog: An observant reader of the Indiegogo page will notice that the entire screenplay is available in .pdf format with MAJOR SPOILER warnings. Personally, I clicked on it, and read it. Would you say that link is there to help convince any potential funders who are on the fence after viewing the campaign page? Chris: The ‘major spoilers’ warning is meant to be tongue-in-cheek of course. But YES, you’re right. I believe in this story. Everyone who’s read the script believes in the story. It needs to be told. I believe that anyone who reads the script will feel inspired by it, and will want to help it get made so they can watch it. It’s a gift to the world. My thesis is partly about how digital technology and crowd funding allows a regular poor person like me can make a high-quality film for the price of a car. All I need is a little help from a lot of people to do it. That was unheard of until recently. It’s about how personal cinema is giving a voice to people who’s ideas about the world have been drowned out by commercial interests. It’s an amazing time for indie cinema that filmmakers can connect directly to their audience and give them what they are asking for. I love that part of it! OCNA Blog: Are there any last thoughts you’d like to mention to pitch this campaign to our audience? Chris: Well, it’s important that everyone understand that if you want to see this film made then you have to make that happen. All that’s needed is that a ton of people click on the “contribute now” button and donate just a tiny bit. It really does add up. If we don’t reach a minimum then it could possibly put the film in jeopardy. And to be frank and as honest and authentic as possible with you I’m going to say this: I’d find it sad that so many geocachers would pass up on the opportunity to help fund a film that has so much heart in it. If you have any doubts in your mind about contributing then read the script. If at that point you feel that it shouldn’t be made then by all means don’t donate. We don’t just want people’s money, we want their passion, their friendship, and to share a common goal with them. That means more to me than any amount of money! I do this for the passion, for the audience, to illuminate something about the human condition, and so I can teach as a film professor after I graduate. If this campaign and this film is successful then that will help me to land a great teaching gig where I can make a difference in people’s lives. That’s the bottom line for me. Thanks so much to Chris for the interview. He is truly passionate about getting this film made, and is hoping that Geocachers who read this interview and check out his Indiegogo campaign page will share that passion, and help fund the film. In addition to the Indiegogo page, there is a Treasure: The Movie website (where you can also sign up for the mailing list), and you can follow them on Facebook and Twitter.